The discovery of a simple teapot spurred Jane Janz on an incredible journey that took her back to our city’s beginnings. 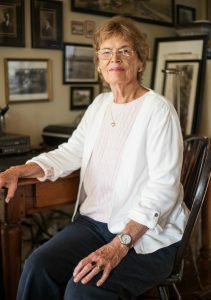 With a grandfather who ventured to Laguna Beach in the late 1800s, and a mother who was born in a little house on Laguna Avenue in 1906, it’s no surprise that Jane Janz feels a deep connection to this quaint artist colony. Janz’s research took her back to the beginning of the town itself and inspired her to document its evolution since it was founded in 1887. When a friend of hers—Craig Lockwood, co-founder of Pacific Noir Pulp Press—suggested she write a book on her findings, she decided to do it and enlisted him to publish it. 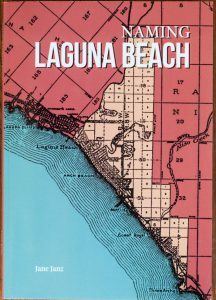 Released in June under the title “Naming Laguna Beach,” the publication, which is available for purchase at Laguna Beach Books, delves into the history of the town’s name as well as its happenings as dictated by preserved documentation, verbal recollections and her family’s own past. While it may be her first, Janz has plans to continue to use her historical research to educate and inspire the community in the future. What is it about the town that makes you want to share the history with others? Jane Janz: I think it’s [the] need for more people to understand what it took to keep the town as nice as it is. There … [were] always arguments, there … [were] always disagreements, but somehow, the people who started coming here really appreciated … the natural beauty of the place and the temperature. 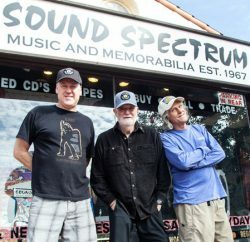 … They fought having any kind of commercialism; they fought having any type of noise. I think [it helps] people who see it and don’t know any of this background … learn a little bit more about why the town is so special. 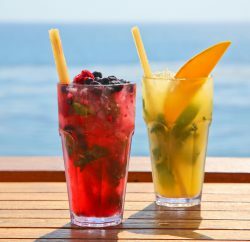 In your opinion, what are the most interesting historical gems in Laguna Beach? It’s more the overall—it’s all the residents of the town who fought and developed schools and fostered the artists and … supported the artists. I can’t think of any one particular thing—the whole story of the slow progress. There were two lakes … [and there were] big ranchos [or settlements] all over. … There were two lakes out there [in Laguna Canyon] … and when they were developing the Rancho San Joaquin, on a map, they marked “Cañada de las Lagunas”—the Canyon of the Lakes. … When the ranchos broke up and California started to be developed, people came down the Cañada de las Lagunas and the name traveled. That’s how we got the name. By usage, it became Laguna Beach. 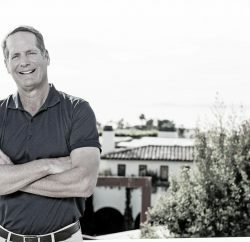 What is your role in the Laguna Beach Historical Society? I’ve been on the board. I’ve never held any sort of specific office. I love to do research and I love to protect the archives. … I spent years down in there sorting through boxes and organizing … [archival] material. What do you think has changed the most since Laguna was founded? I think it’s become more crowded. It really has been a major change. I just so treasure the residential neighborhoods, and those are the people who take care of the town. They are the ones who make things happen. It was the residents who fought to get this, and fought to get the police and had the volunteer fire department for years. … The residents built this town. Do you have any other subjects that you’re pursuing right now for more books? Yes, lots. [The] history of Bluebird Canyon. … I just hope that I can get people to donate their stories and photographs. … My first home was in Bluebird Canyon. That whole side of the hill, on the right side, was all avocado groves. My dad planted those trees. I have pictures of when we first lived up there. … I’ve gathered quite a bit of information … already; it’s just a matter of getting busy and doing it.